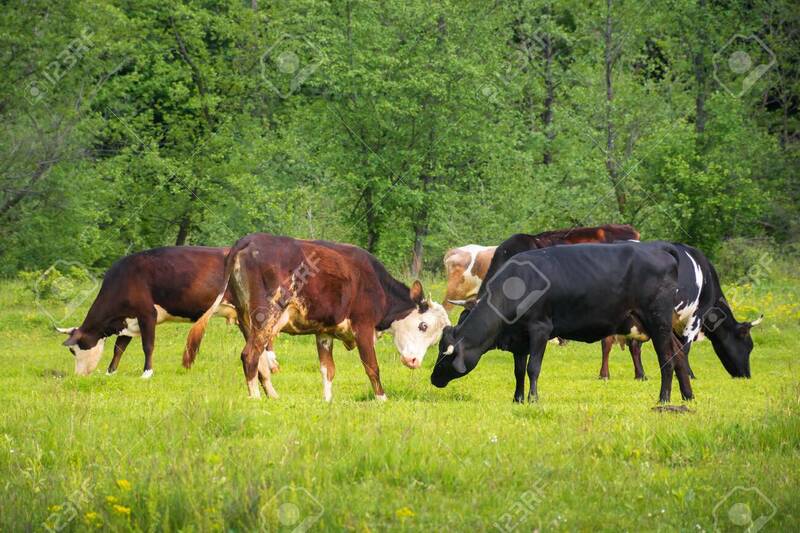 Cow Cattle Grazing Near The Forest. Ginger And Black Cow Fighting.. Stock Photo, Picture And Royalty Free Image. Image 117160145.